Mobsters, even once the game is over and they are sentenced to life, are not ones to give up so quickly. 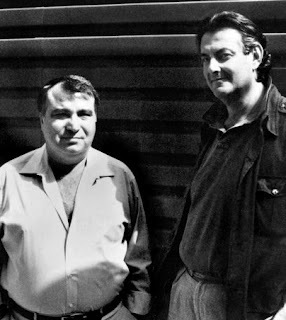 In The Good Rat , Jimmy Breslin's book of musings about the mob, Burt Kaplan and the murderous NYPD detectives Louis Eppolito and Stephen Caracappa, he related how Vic Orena thought he had a legal way over the wall. Orena had waged war for ownership of the Colombo family but lost when he got two life sentences plus 80 years courtesy of U.S. District Court Judge Jack Weinstein, age 84, a judge who, Breslin writes, "knows that numbers, as in years in prison, not speeches, are the way to end the Mafia." Three of the five families tried to stop the third Colombo war. 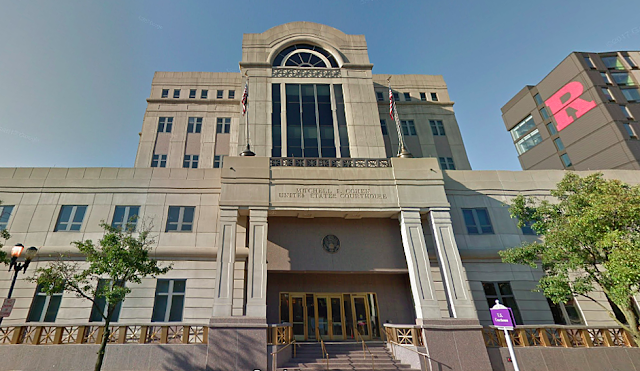 Orena, sent to cool his heels -- forever -- in Atlanta was soon on a bus back to Weinstein's courtroom after his lawyers entered a motion to throw everything against Orena out the window. The trip took weeks, and Orena "spent the nights with bugs and rodents in county jails" on his way to what he thought would be bail -- and an escape to Europe with his lady friend. "When he arrived in the courtroom, his motion was a foot-high pile of papers on Weinstein's desk." "What is he doing here? He belongs in prison." "He is here on his motion," the lawyer said. "Motion denied," Weinstein said. 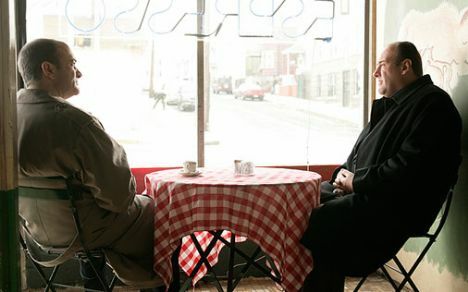 "Marshal, take this man back to prison." Carmine Sessa and other Colombo cooperators have said (not in testimony) that shortly before the third shooting war began, Colombo leaders met at the Persico estate in Saugerties, New York (family big shot John Staluppi, who flipped from the Orena faction to the Persico's, made the event memorable by arriving in a helicopter). A key part of the discussion was plotting the murder of Orena. 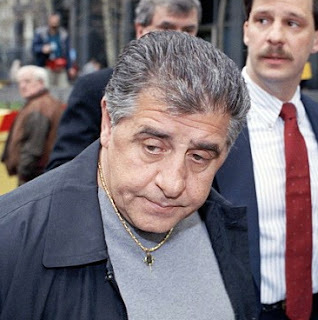 Alfonso "Little Al" D'Arco, former acting boss of the Luchese family, testifying at Vittorio "Little Vic" Orena's trial, said he and other leaders of the Luchese, Gambino and Genovese crime families tried to stop the third Colombo war. The talks were successful at only postponing the shooting, which formally broke out in the fall of 1991. "We had a series of meetings," D'Arco said, held in apartments and hotel rooms around New York City. "The purpose was to settle the dispute before shooting began." In addition to D'Arco and two Luchese heavyweights, three Genovese leaders and three Gambino captains also attended. The Bonanno family was excluded because "the Genovese family was deadly against them." At the first meeting in the spring Orena indicated that he would have stepped down as acting boss if Persico had asked. 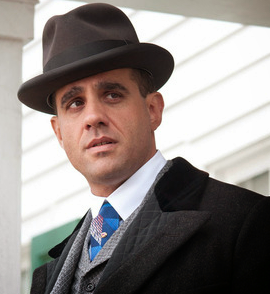 But because Carmine Sessa and three others from the Persico faction had tried to kill him, he was pissed off. "They tried to clip me," D'Arco quoted Orena as saying. 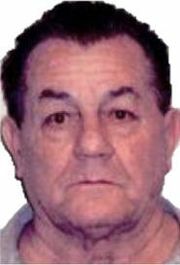 Scarpa, who killed four mobsters during the 1991-92 war, was portrayed at three racketeering trials as an FBI operative with a license to kill by defense lawyers for 15 defendants who won acquittals in 1994 and 1995. The investigation has triggered several hearings to determine if convicted Colombo mobsters, including acting boss Orena, should get new trials. DeVecchio, who testified at Orena's trial, invoked his Fifth Amendment privilege and refused to testify at any hearing. "If DeVecchio had a clean conscience, he would come in here and testify," Orena's lawyer, Gerald Shargel told Daily News reporter Helen Peterson. Since the, it's been reported that Orena became a Eucharistic minister in 2003; he recruits people to join his rosary group and he counsels troubled friends in the ways of the Catholic Church. 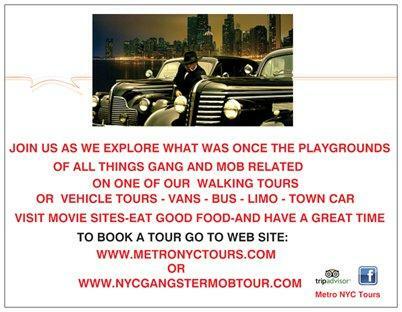 As for the most recent case of a mobster trying to wiggle out of a life sentence, mob expert Jerry Capeci, on his PPV website ganglandnews.com, recently wrote that, "Mob turncoat John Alite failed miserably as the government’s key witness against John (Junior) Gotti. 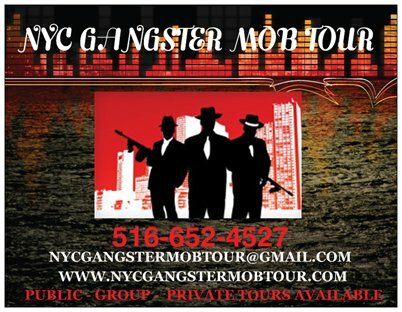 But his proud declaration on the stand that he answered only to John Gotti Junior could be a ticket to freedom for a Gambino capo now serving a life sentence for racketeering and drug dealing." 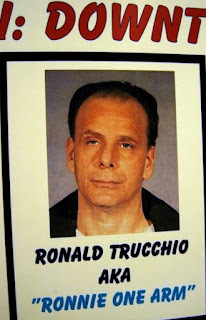 The capo in question is Ronald (Ronnie One Arm) Trucchio, whose lawyers are filing papers to free Trucchio on the grounds that two low level mob associates who testified at Trucchio’s trial were undercut by revelations unveiled at the Junior Gotti trials by Alite. Trucchio, 52, was convicted in Tampa of racketeering, murder conspiracy and several robberies in November 2006, one month before Alite was extradited from Brazil and agreed to cooperate with the FBI and federal prosecutors in Florida, Capeci notes. 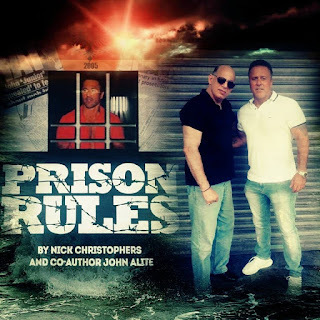 "Citing Alite’s 2009 testimony against Gotti as 'newly discovered evidence' that undercuts the testimony of [the low level associates], attorney Seth Ginsberg has asked Tampa Federal Judge Susan Bucklew to toss his conviction and grant him a new trial," Capeci writes. 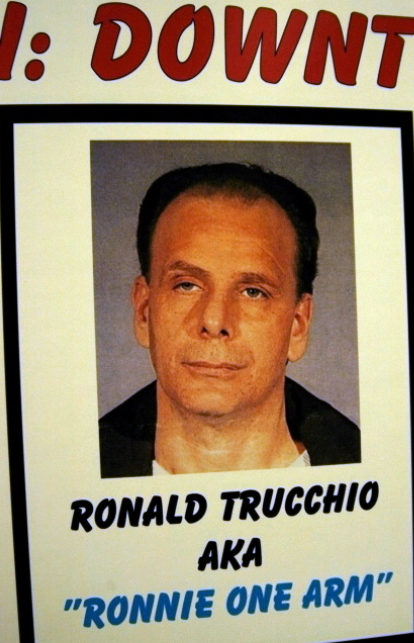 At the Gotti trial, Alite testified he reported directly to Gotti Junior; at the Trucchio trial, the associates had testified that Alite was with Ronnie One Arm and not Junior. In addition "Alite also contradicted ... specific assertions that Ronnie One Arm was behind numerous violent crimes that Alite committed during the mid 1990s, wrote Ginsberg," Capeci reports.The associates were contradicted by Alite in other ways, but you'll have to pay Jerry to get any more info on this. The bottom line for Ronnie, however, is not without at least a single shred of hope: As Capeci writes, "Judge Bucklew instructed Assistant U. S. Attorney Jay Trezevant – who questioned all three turncoats ... and who is sure to oppose the motion for a new trial – to respond to Ginsberg’s court filing next month." I new him from ramada jfk what a cool guy . I have to follow up on this. Sounds like Ronnie had a strong position for a retrial. 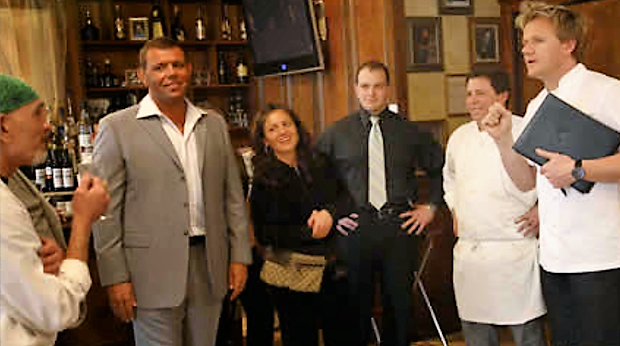 RONNIE was not only a quiet, well dressed, good man but he was a loyal and dear friend. Regardless of what is said he did he was good to his own and always took very good care of his own. The only person I feel sorry for and has got the short end of the stick is his illegitamate child (toni lynn Cannastrasi) she is the daughter of Fran the Man they called her lol. The girl's mother Fran Cannastrasi I think I am miss spelling the last name. She was so in love with Ronnie and Tonilynn was the product of their love affair. You would not even need a DNA test to prove she is his child she is his spitting image an personality wise THEY ARE also CLONES. Other than that, Ronnie is a stand up guy an great person. Yes, I can relate to getting the short end of the stick. I happen to also be one of those kids now all grown up. Actually the really unfortunate part of the whole thing is they have missed out on getting to know me as the good person that I am. I am not Ronnies daughter, but I am related to other people. I had a really hard time growing up because, I always wanted to know my true roots. I had discovered my relations later in my life. I am educated and have done nicely for myself , but there is always that big part of my life that is missing. I will e-mail you .